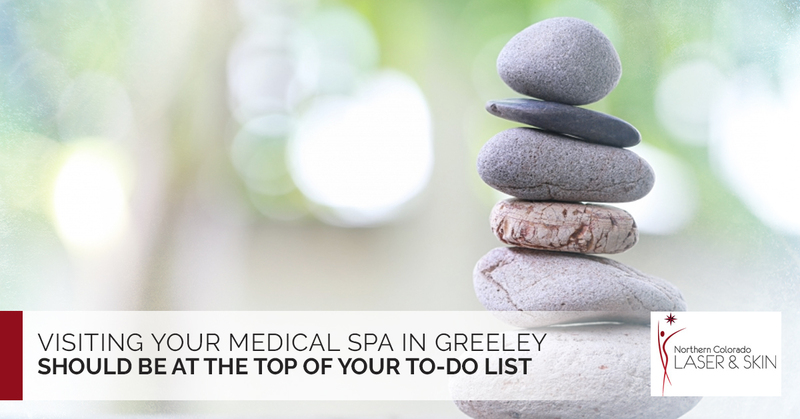 Visiting your medical spa in Greeley should be at the top of your to-do list. No matter how old you are or what your state of health is, you can improve your looks and feel younger and fitter after just a few visits, maybe even after just one visit! So whether you are interested in losing weight, improving fitness or you just want to look and feel younger, you can find what you need at your Greeley wellness center. Remember when you bounced out of bed bright and early in the morning to greet the day? You had enthusiasm back then, you just couldn’t wait to go outside and take on the world. We can’t promise that seemingly boundless energy you had when you were young, but we can offer treatments for your lack of energy. You aren’t tired simply because you are growing old, a lack of energy could mean a hormonal imbalance. Bio-identical hormone replacement could be your answer. If you have always struggled with weight loss, body sculpting could be for you. You can once again have that body you had before the changes that occurred after childbirth. Lasers have become a very helpful tool in everything from removing dark spots to the removal of spider veins and more. Laser treatments can also resurface the skin, removing wrinkles and acne scars. These are just a few of the treatments we offer, give us a call for more information.